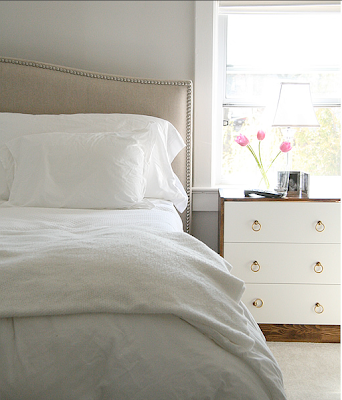 As we saw yesterday, painted furniture can be fun, fresh, and supercalifaaabulous. And when I said bloggers far and wide love to get their craft on with a cheapo piece of furniture and some spray paint, I was not lying. Here are some of my favorite, inspirational projects I've come across in the design blogworld. And while Jenny, the author of Little Green Notebook, did not personally complete the above makeover, she might be the best DIY fixer-upper of old furniture I have ever seen. Here are two examples. I know. Wow! You need to see this woman's entire dining room. 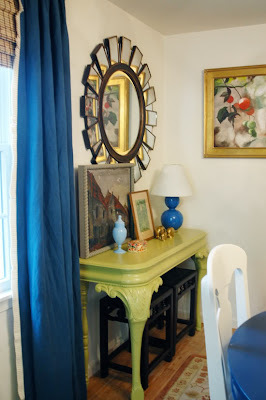 She pretty much made or repainted or reupholstered every single item in the room, and it is just so darn impressive. One of my favorite before/after projects ever. 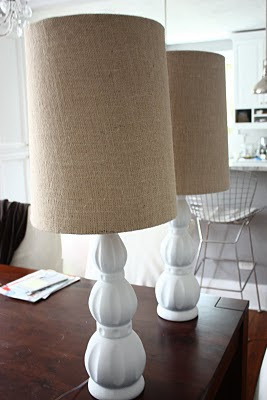 But moving along... the gals over at Matters of Style have a whole list of DIY projects on their blog. Here's a favorite of mine. Below is the before shot of a bamboo console that was bought for $12 at a local thrift store. 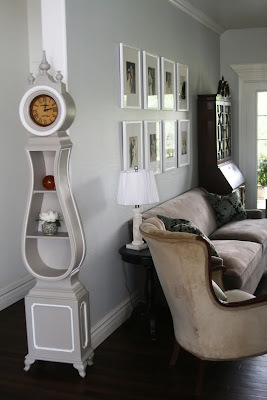 A little white paint and voila! Looks worth a lot more than $12 now! 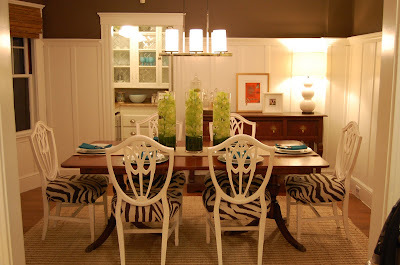 Below is an early shot of Erin of Elements of Style's dining room. I am not a fan of the red chairs and neither was she. Nothing a little white paint couldn't fix! A more affordable option than purchasing the $300 West Elm desk I so wanted. And my favorite thing about painting projects (spray paint in particular) is that it doesn't have to be used solely on wood furniture. 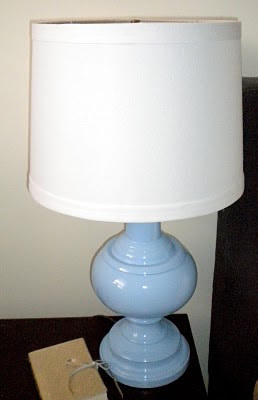 We've all seen mirrors, frames, patio furniture, and lamps get quick makeovers thanks to a $4 can of bright paint! 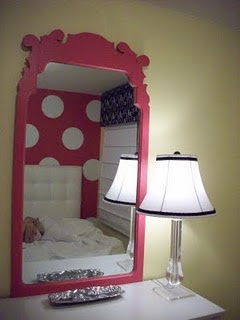 Emily A. Clark finished a few great DIY painting projects for her daughter's bedroom. 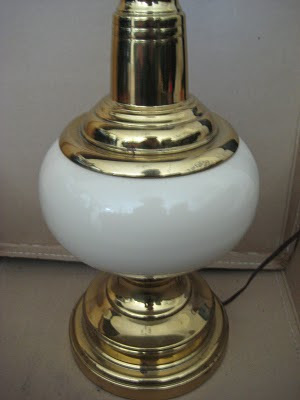 And she spruced up these - sorry, Emily - hideous lamps so that they now look like the porcelain lamps I see selling for $300 a pop! I have so many painting projects on my list of things to do, but unfortunately, it's best to paint outdoors in a temperature between 50-90 degrees. As I'm sure you can guess, it hasn't been that warm in Chicago since October. Alas... I have a couple more months before I can grab my rubber gloves and spray away. Are you a DIY paint person? 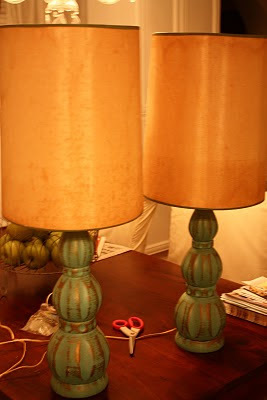 Do you prefer spray paint or latex paint? 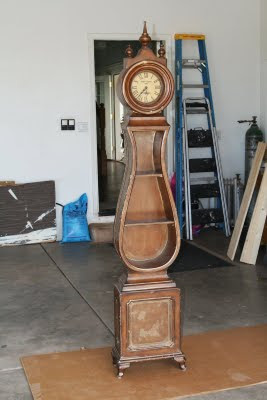 Feel free to send pictures of before/after shots if you want to see your work featured on LCY! WOW! 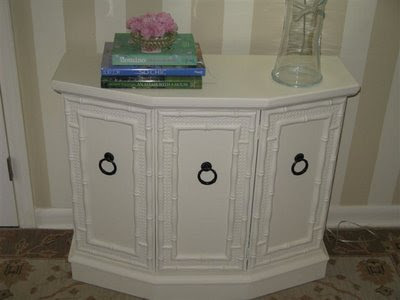 I love painted furniture. Unfortunately I don't ever remember to take "befores" of my projects... I usually just wake up at 4:00 in the morning with an idea and then immediately execute it! great idea with the lamps!! lamps are normally so expensive. this is a nice, inexpensive alternative! thanks! 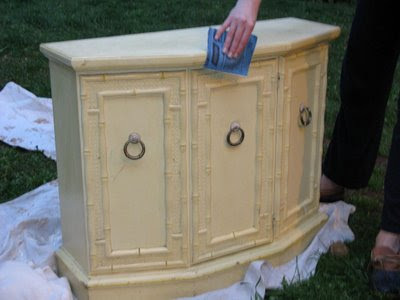 A coat of paint can sure change the look of a piece, but I don't know how some people always score the best finds! That bamboo console for $12?! Amazing. Oh my gosh, I love everything about this post!! - LOVE little green notebook. Talk about inspiration! DIY painting is saving our budget right now, I am either reusing or ebaying pretty much everything for our new house...CHICAGO warm up already! I am itching to paint! 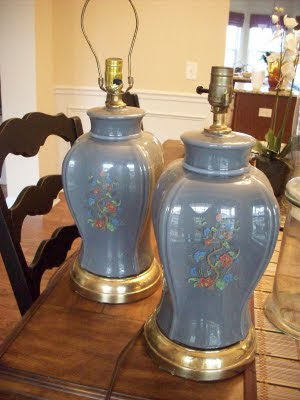 I am so NOT offended by the use of hideous for those lamps :) They were so bad! Somehow I missed that you used an IKEA table for your desk. I want the one from West Elm so bad right now but refuse to pay $300 for such a simple style. Do you remember what table it is? Love the other DIY pics. 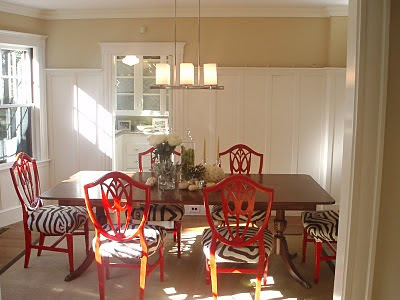 The white dining chairs are beautiful. And, I agree, Jenny from LGN is unbelievable! 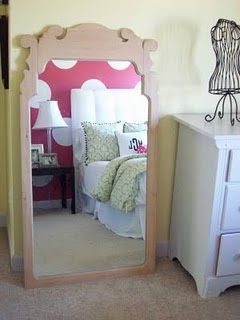 DIY's are so fun and a great way to save $. 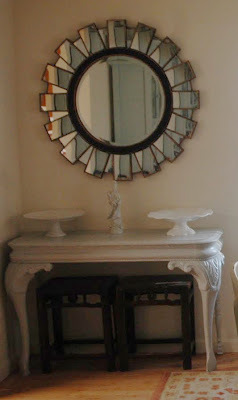 I painted a blah white mirror a silver leaf for my bedroom last year. 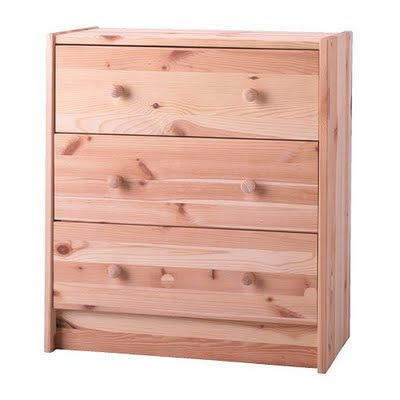 Love the Ikea dressers, what a great idea! I love painted furniture too! 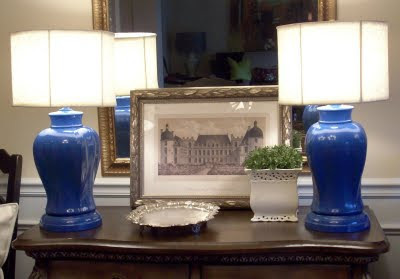 It is such a great way to express your personal style through the color you pick or the finish. Ps. I got your email and I am working on the list for you! I love painted furniture. I would die if i found that bamboo console for 12 what a great find!! I'm DEFINITELY a DIY person... 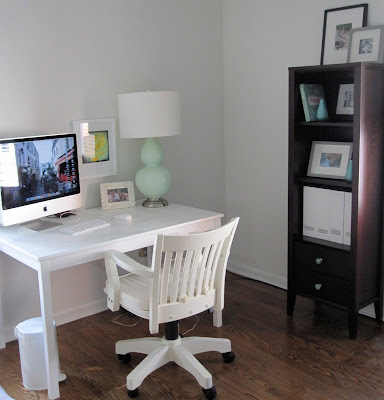 I love that you spray painted the desk...i agree it is a less expensive option. It all looks beautiful...lamp too!! Thanks for the mention! I LOVE painting projects. The best part is getting a total steal and upgrading it!